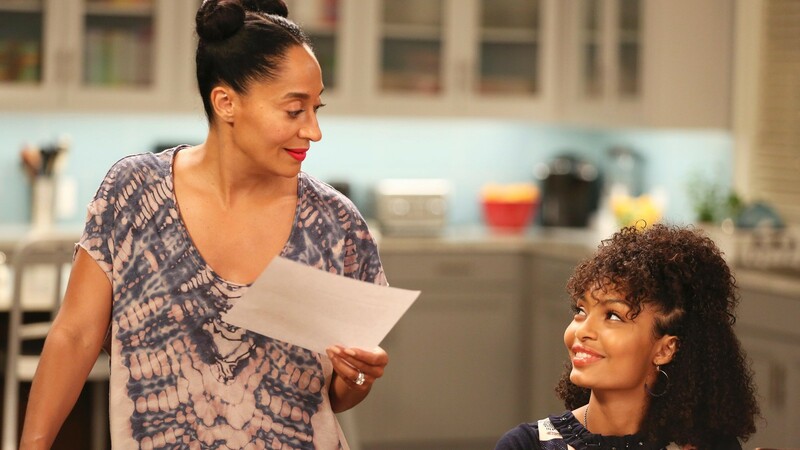 “Blackish” star Tracee Ellis Ross as Rainbow Johnson with Yara Shahidi who portrays her TV daughter, Zoey. “Black-ish” star Yara Shahidi will be heading off to college soon on the show and in real life. And she received one of the most important aspects of a college application, a letter of recommendation, from former First Lady Michelle Obama. “She is very amazing and such a supporter, which is something very surreal to say,” Shahidi said in an interview with W Magazine. Obama even gave her words of encouragement before AP exams. “Go get ’em, Tiger,” Obama said as she patted Shahidi on the back. The two initially met on a panel for Glamour magazine’s “International Day of the Girl” event. Besides acting, Shahidi is a social activist and founder of Yara’s Club, a mentoring group that also engages young girls about their political opinions. Shahidi has inspired many of her peers. “Seeing someone my age be a successful actress and still go to college has inspired me,” said Jasmin Duncan, a senior at Laurel High School in Maryland, who will be attending Pennsylvania State University in the fall. After taking a deferment year from college, Shahidi plans to double-major in African-American studies and sociology. However, she has yet to reveal her college of choice. “I did get all of my college acceptances, and I’m keeping them close to the belt as of right now, but I got into every college I applied to,” Shahidi, who has a 4.6 grade point average, said in an interview with Seventeen magazine.